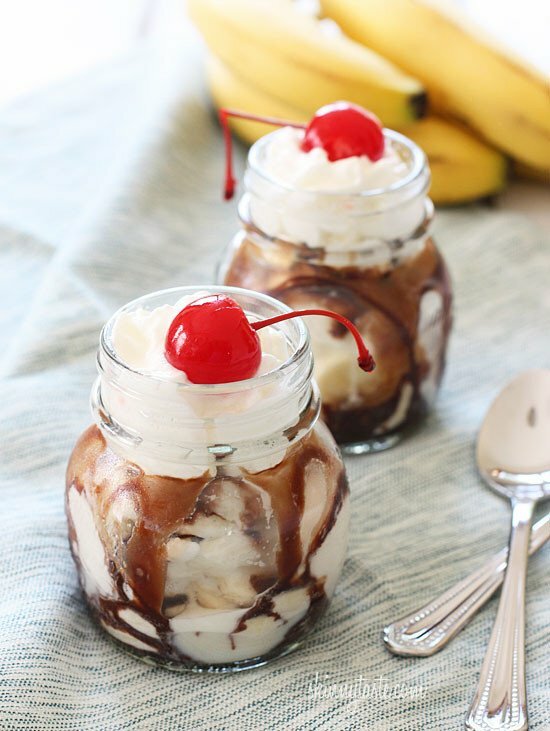 Perfectly portioned guiltless banana split sundaes in a jar that are decadent and delicious, but won’t hurt your waistline! More guiltless banana desserts I like to make are Creamy Banana Ice Cream Bowls, Frozen Banana Popsicles and Baked Bananas. National Banana Split Day was tomorrow (Aug 25th) and Dole, the world’s largest banana provider set out to create a “No-guilt National Banana Split Day” to inspire food bloggers to make a healthier alternative, so naturally I was all over this! The original banana split was created in 1904 by a 23-year-old Latrobe, Pa., pharmacist and is now one of America’s favorite desserts. At an average of 1,000 calories, it’s also one of the country’s biggest nutrition offenders. Keeping the portions realistic, and using nonfat frozen yogurt in place of ice cream allows you to indulge without the guilt. Topped with whipped dairy topping and a cherry, who can resist this simple treat. And yes, I went with a whipped topping made with real cream (Reddi Wip) because I feel the fat-free creams are just a whole lot of chemicals. Because it’s mostly air, it’s still relatively low in fat and calories. I’m really hoping someone out there can figure out how to make a healthier yet light whipped cream, the closest I found is truwhip. Hope you all have a great weekend and Happy Banana Split Day! can this be made diabetic friendly? This would be great with frozen banana "ice cream!" Can this be made ahead of time, topped with a lid, frozen, and then taken to a party? It’s best assembled just before eating. From the pictures I was looking forward to trying this until I got to the recipe and realised the only ingredients available in Australia are the cherries and bananas. I would love more recipes with 'real' 😉 ingredients please. Whipped topping is particularly hard to substitute as it seems to be uniquely American. They don't say but they hold about 1 cup. Trader Joe's carries a natural Cool Whip knock off now and it's delish! Looks decadent! I gave you a Liebster Award, check out the details at http://cookingjamie.blogspot.ca/2012/08/3-years-and-award.html. Gina, you can make a low cal version of whipped cream with coconut milk. Here's one of many recipes: http://nuttykitchen.com/2010/06/01/coconut-whipped-cream/ And thank you for the banana split recipe! Thanks for the whipped cream recipe using coconut milk. I must try it. So cute and the same points as a glass of white wine…hmmmm. remember that is for 2 servings. Oh. I just assumed everyday was National Banana Split Day. 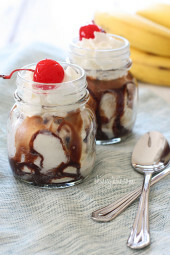 Definitely saving this recipe as a special treat for Mr. M (who loooves banana splits) — Thanks, Gina! All I can say is – WOW, Gina. Love the idea of putting these in jars. Can't wait to make this as a dessert. Sure, just don't use the photo. Check out the bamix, it's an emersion blender that claims it can whip 1% milk. I've tried with mine and can't get it thick enough but at the local home fair they did it and it was awesome. I think I don't have the technique down pat. I love the mini mason jars! Yummy! vegan option using Coconut milk. super delicious and good for you. Why no strawberries &/or pineapple like ina 'real' split? And I second the person who suggested banana 'ice cream' – it's delicious ! Everyone has different taste, top it with whatever you prefer. And yes, banana ice cream would be great. 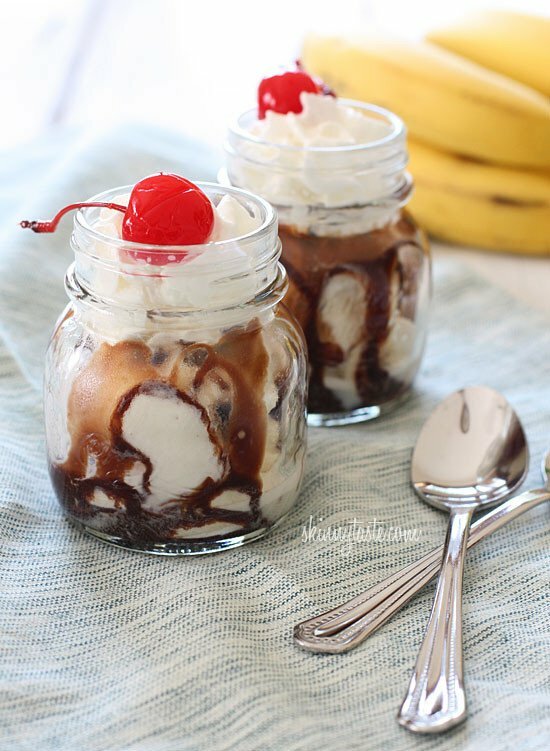 YUMMY – so cute in your little mason jars (and no bowl sides for things to slip out of). I got a little nervous that I missed National Banana Split Day: glad I am right on time to celebrate! 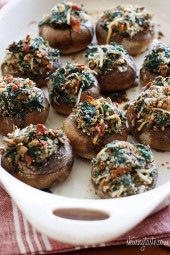 no eggs, less fatty and so yummy! loved it. Asian Pork on Thursday, Cajun Pasta tonight, Sweet and Firey Pork Tenderloin tomorrow….and now I must add banana splits for dessert. Love, love, love your recipes!!! How about frozen banana turned into an "ice cream" and topped with the fudge and cream? :] Even better! I just made some this week, sure would be great too. I little too much banana for my taste though. Banana splits are my FAVORITE!! Feels so good to eat them at a smaller size and STILL be able to enjoy them in a healthier way!! 😀 SO much more worth it!! AWESOME! I have some of your vanilla bean frozen yogurt in my freezer and my husband and I both bought bananas at the store on accident. I love the idea of using those jars! I have to get me a few, so cute! Awesome! It's about time I will check it out. Thank u!! Hi Gina- I'm in Northern California and their is a new product that we just had at our weight watchers meeting this week called FOAM. It is delicious and not full of chemicals. It is made with lf milk and sugar. I know currently it is only available locally. Oh my!!! My hubby and I both love banana splits. I usually just watch him eat while I just have a banana! Not anymore! YAY! Gina, your my hero! Gina I just don't know what I would do without you! Thanks for keeping me skinny and not deprived and grumpy while I do it! YUMMERS! — ps THANX for being awesome n sharing all these great dishes! The jars are from Home Goods, small cups would work great too! Great! I have a Home Goods near by. I found your blog about three weeks ago after joining WW online. Thanks to your delicious recipes, my family is happy at meal time, and I'm down 6 pounds 🙂 Thanks for helping me so much on this journey! These look great! Where did you get the adorable jars? This is adorable Gina, love it! 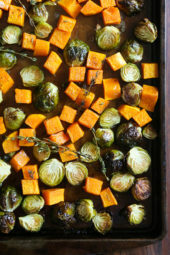 Loving this recipe and it's "guiltless," too! I can hardly wait to try this out this weekend. 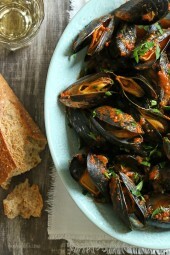 I was just recently introduced to this website and I am LOVING it, especially when I see yummy stuff like this! This looks absolutely decadent yet I know It's not gonna blow my points away! Great recipe for a Friday! Love it! Thanks!